Ahoy there me lads and lasses! Here’s yer app pirate getting ready for another exciting adventure with the crew. We are about to explore this new cave that we found in a map. This is the first time that we learned about it so we feel excited to see what we will find. Our hopes are high because according to the research that we’ve made, there are a lot of treasures that were hidden in that cave. We will see about that when we reach it. For now, while this bucko is not doing anything, let me write another app review the me know you’ve been waiting for. It’s about the app called Mobile Legends: Bang Bang by Moonton. Hands down to the graphics of this game! It’s very detailed from the things that you will see in the game area to the weapons used by the characters or also called the heroes. The visual effects during the game are impressive as you will see different colors and lights during the battle. This is also true with the sound effects. You will feel more into the game because of the sounds that you will hear during the fight. The characters are called the heroes. There are plenty to choose from that have their own skills, strengths, and weapons. You can choose for the one that will match your game style. If you have played games like DOTA and World of Warcraft before, you will see their similarity with this app and even the characters. 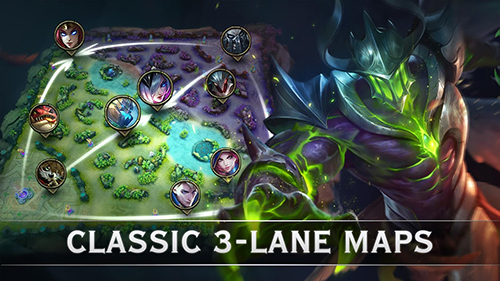 This is a fantastic option for those who wish to play a similar game on their mobile phone. This is an online multi-player game so you can play with other players from around the world. You can also invite your friends so you can play with or against them. This has a ranking system, although you can be matched with those that are a level higher or lower than you. You can text chat or voice chat with other players so communication will be easier. However, since this is online, there’s a chance that you will be out of the game if you lose your connection and this could cause you penalty, which can affect your ranking. You need to earn enough gold coins in order to purchase items or characters that you like. However, some of them would take a lot of time to be unlocked. There is an option to make an in-app purchase but they are also pricey. If you don’t want to spend real money for the game, then you need to be patient in collecting the game currency that you need to purchase the item or character that you are after. This game is fun and exciting. There are many players that play it from around the world so you can test your gaming skills against them. You can also invite friends to play with you. It’s interactive as you can communicate with other players and it also has detailed graphics with superb visual and sound effects. The items can be pricey whether using real money or the game currency. While some of the items in the game can be pricey, you can still play it without having to spend real money. 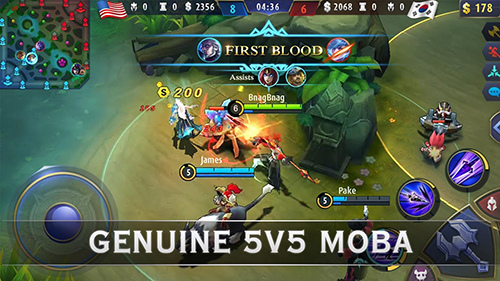 Mobile Legends: Bang Bang is recommended for those who are into multiplayer battle games as it’s fun, exciting, and challenging.